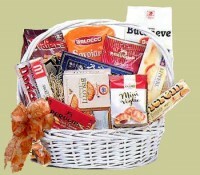 Our Dessert basket is filled with an assortment of Italian cookies, chocolates and candies. Made to be enjoyed after any meal. Shown here at $69.